Over 600 small companies in Shanghai fall victims to three gangs which allegedly applied for blank VAT invoices in their names and sold them at a profit. Police examine documents after a raid early on Tuesday morning. 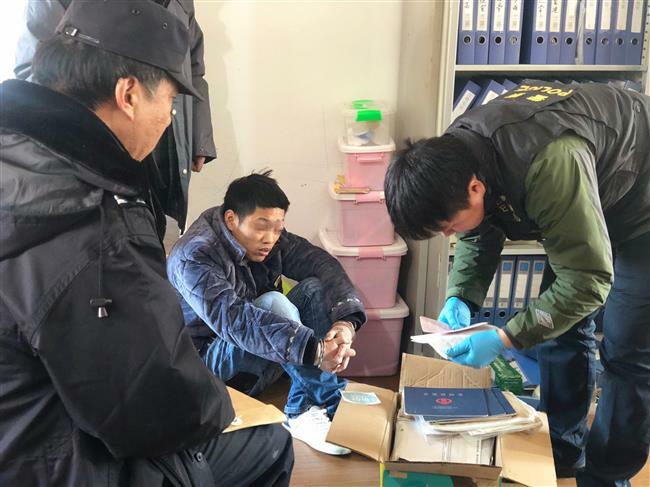 More than 40 people have been detained by police after around 600 small companies in Shanghai fell victim to three gangs said to have applied to local tax authorities for blank VAT invoices in their names and sold them for a profits. Invoices with face value of over 1 billion yuan (US$154 million) had been illegally issued since August last year, police said. An investigation was launched in September when a few companies filed complaints to local tax authorities that VAT invoices had been issued in their names that they had never applied for. One hair salon which made only tens of thousands yuan a month appeared to have sold mobile phones and chemicals worth millions of yuan. With illegally acquired information of such companies, the gangs allegedly forged business licenses and ID cards of company owners and then hired people to apply for VAT invoices with the fake documents. A woman suspect surnamed Liang, who is being held at a detention center in Jing'an District, told Shanghai Daily that not all applications were accepted. 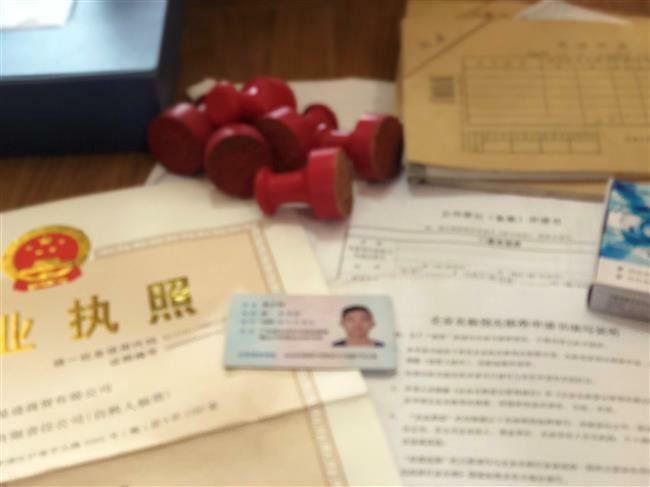 "Sometimes the QR code on the business license couldn't be scanned or the ID card couldn't be read," said Liang, who was given a fake ID card to apply for VAT invoices with other fake documents. For each successful application, Liang said she was paid about 300 yuan. 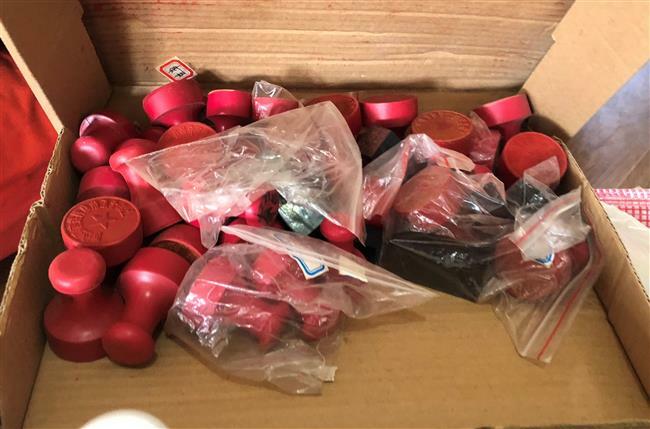 The blank invoices, with a face value up to 100,000 yuan each, were usually bundled in 50s and sold for up to 180,000 yuan in total, police said. The suspects were caught at 10 locations in Shanghai, Guangdong and Anhui provinces early on Tuesday morning. Forged rubber stamps were discovered at one of the raided locations. Forged business licenses, ID cards and other documents found at one of the raided locations.